If you haven’t yet realized that grilling makes everything better, you need to get on board, ASAP. 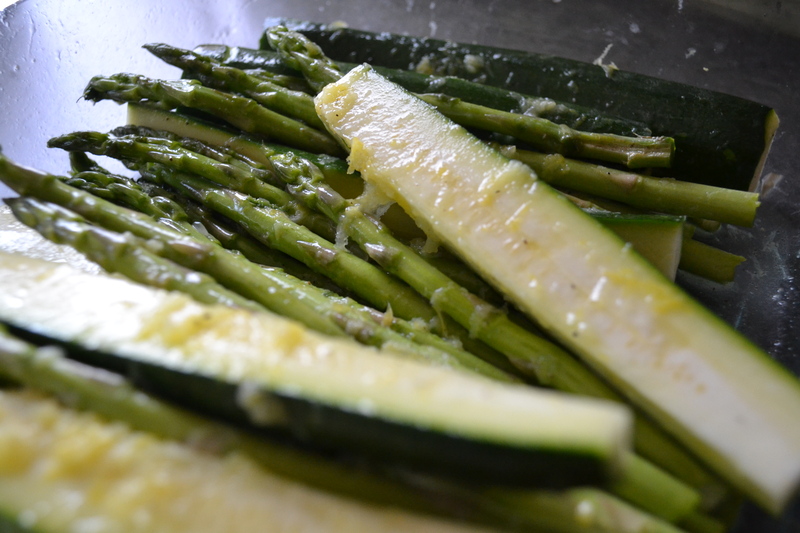 Vegetables are – obviously – no exception, which is why so many of my recipes are created with or served with sides of grilled zucchini, asparagus, corn on the cob, and other delectable produce (check out the list below). Grilling zucchini spears has become a recent favorite of ours, as it’s super simple, quick, and delicious. 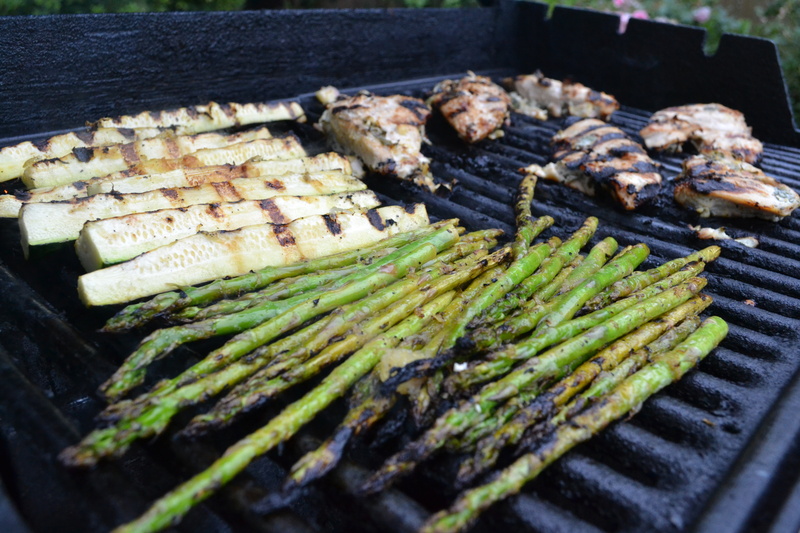 Note: You can also add other veggies/stuff to be grilled (such as peppers, asparagus or potatoes) to the mix, just increase the lemon content. 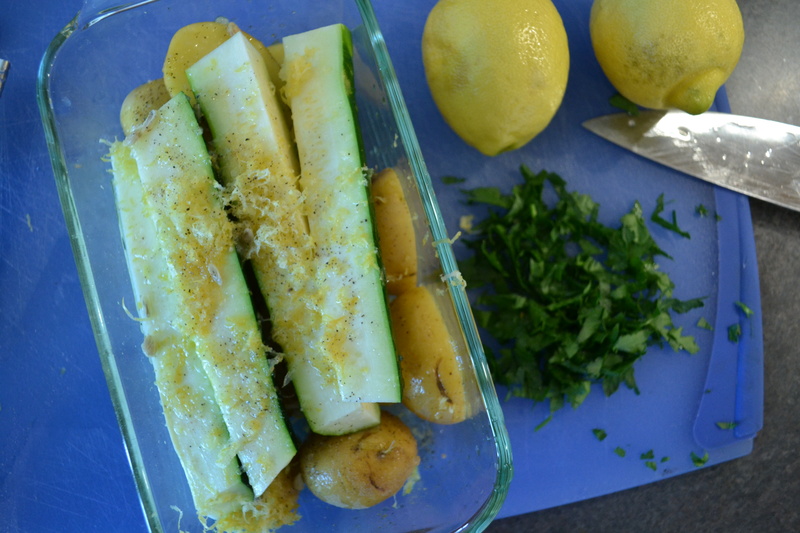 Cut the zucchini into spears, which are the easiest to manage on the grill, and place them in a shallow dish. Simply zest and juice the lemon (that’s right, the zest and juice of the entire lemon) over the spears. This may seem like it will be lemon-overkill, but it won’t be, trust me. Toss the spears in the lemon juice, zest, oil, and (if you choose to use it) a pinch of salt and pepper. Allow the zucchini to marinate in this mixture for no longer than ten minutes. Cook the spears on a grill preheated to medium-high. The zukes will only take a couple minutes on each side before they’re nice and charred, so make sure to watch them carefully, and turn them as needed. Though you can grill them separately, I usually just make a little room for the spears to the side of whatever else I’m grilling, just to ensure that everything is around the same time.